A Michigan congresswoman is urging President Obama to dispatch the National Guard to address a growing humanitarian crisis involving tens of thousands of children illegally crossing the U.S.-Mexico border, Fox News reports. 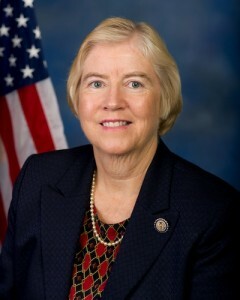 U.S. Rep. Candice Miller, a Republican, urged the president in a letter to address the overcrowding along the border. “I strongly urge you to call upon the National Guard to assist our overwhelmed border agents in not only addressing the unfolding humanitarian crisis, but also to assist our agents in defending our border against the violent drug cartels who are increasing smuggling operations as a result of this crisis,” wrote Miller, who is vice chair of the House Homeland Security Committee. Since October, border patrol officials have apprehended more than 47,000 children – nearly twice the number captured this time last year.